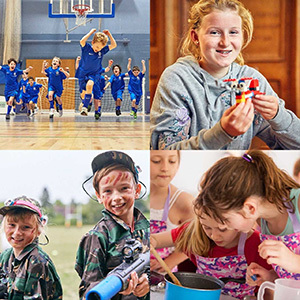 Super Camps provides week-long cookery, outdoor activity and LEGO® courses for children in the UK. When looking for an enriching school holiday experience for your children, our specialist holiday camps are the ideal choice. From football to cookery, we offer courses to suit every child! Our all new 5-day course invites all football fanatics to take a shot at our multi-dimensional soccer camps! Future Lampards or Fran Kirby's will be given the chance to enhance their footballing skills as well as expanding their knowledge of the day to day demands of being a footballer. This 5-day course gives all budding chefs an opportunity to cook their way around the world! Children will visit a number of countries to learn some of their traditional recipes whilst refining their culinary skills! This 5-day course is for all mini LEGO® enthusiasts and will connect the love of the brick, to the world around them with different themes each day. So for example, on vehicles day, the kids will understand how vehicles are constructed, create their own LEGO® vehicle and then go outdoors for a race! This 5-day course will see young adventurers being deployed at one of our RAW Outdoor Adventure Mission Headquarters, to learn a variety of bushcraft survival techniques, before tackling The Mission at the end of the week.